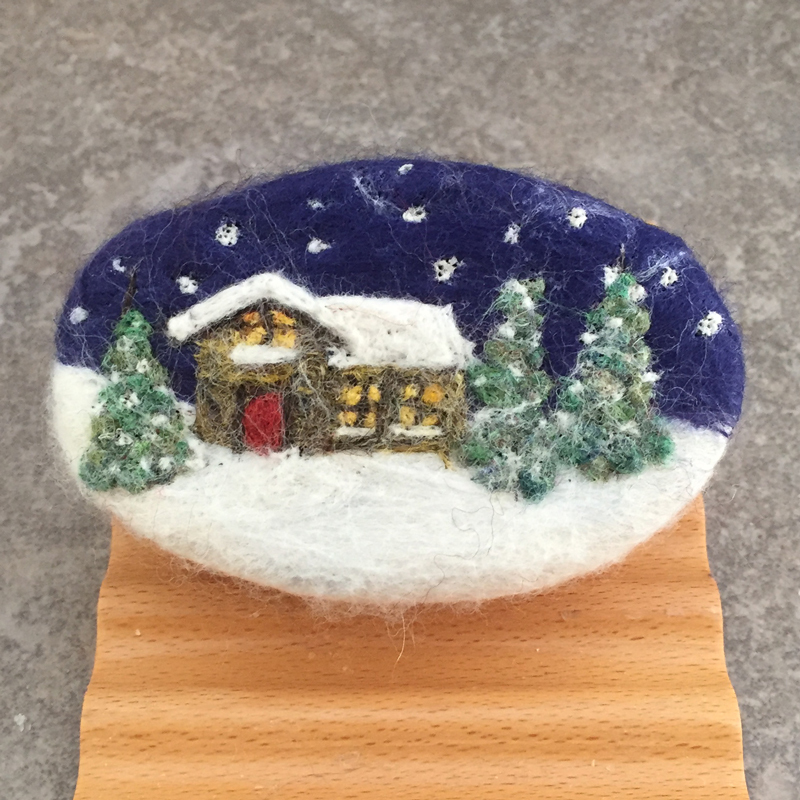 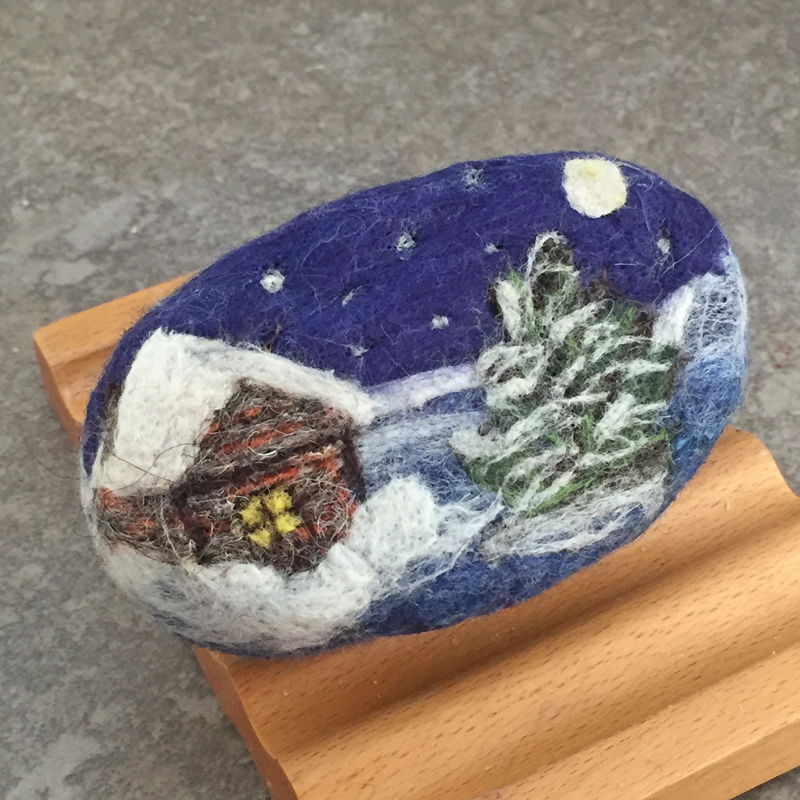 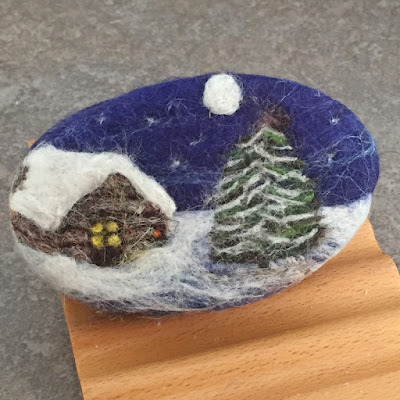 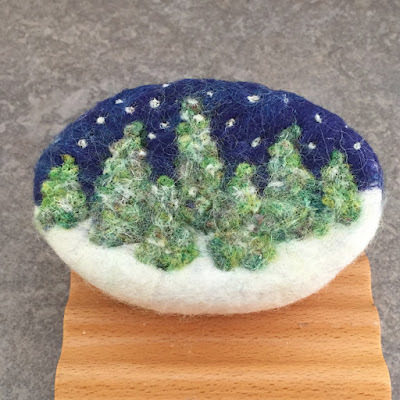 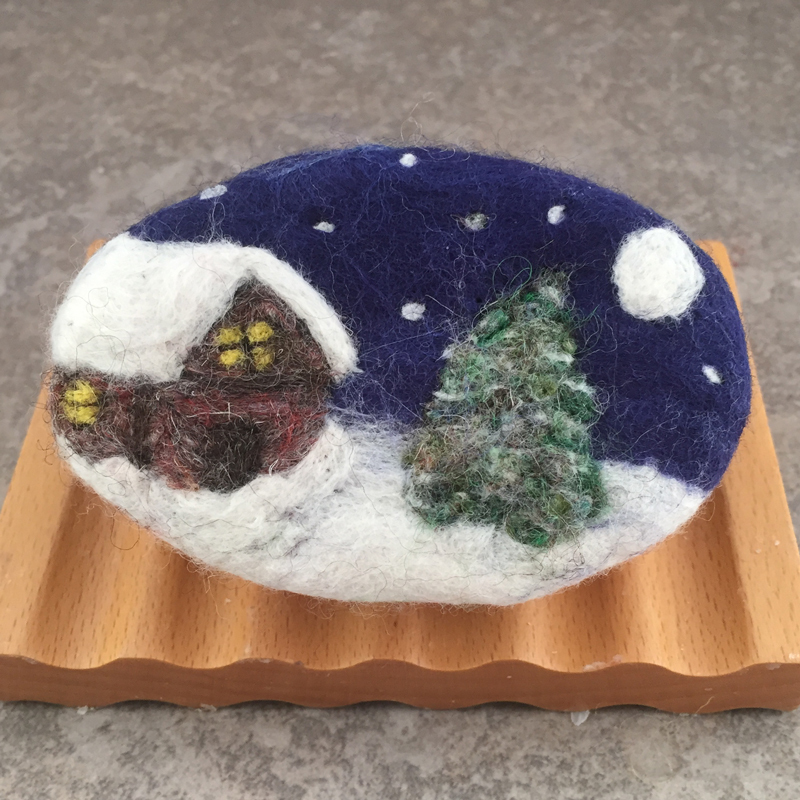 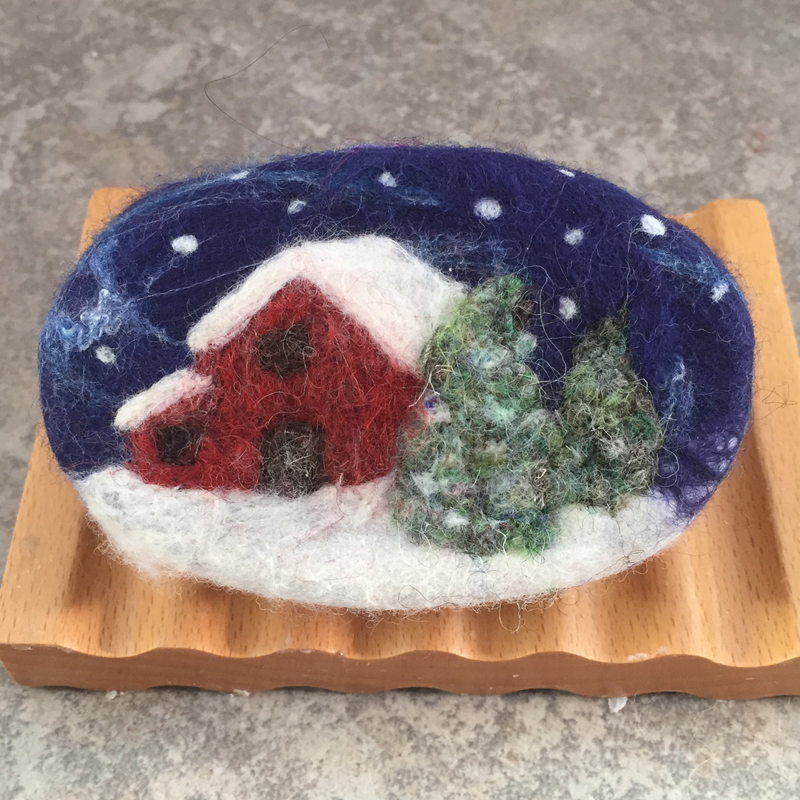 Just a quick update on some new winter themed felted soap. 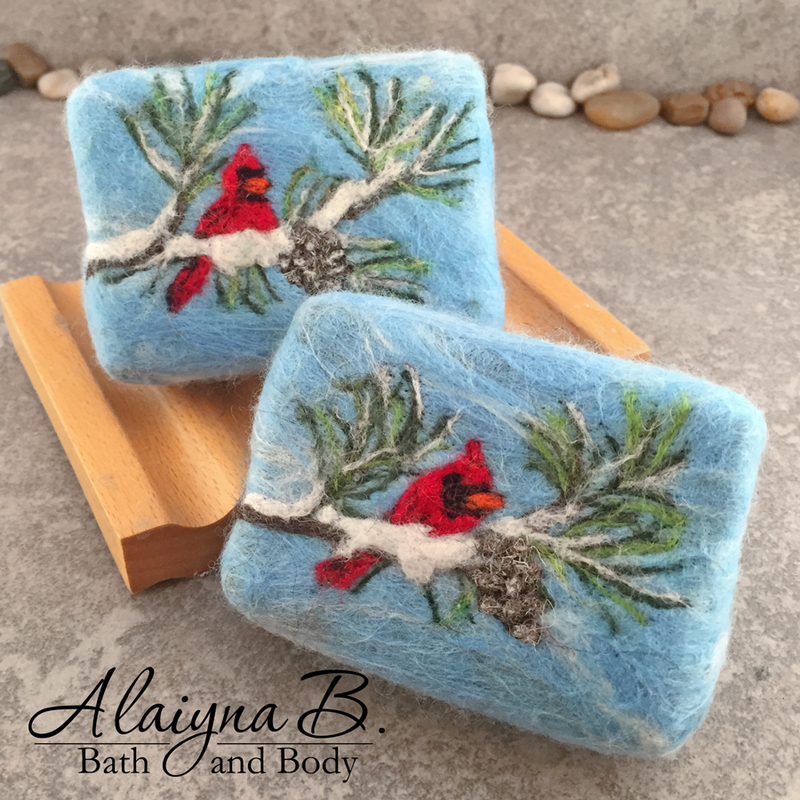 Each underlying soap is a bar of my cold process handcrafted soaps created from scratch using a variety of vegetable, nut and fruit based oils and butters. 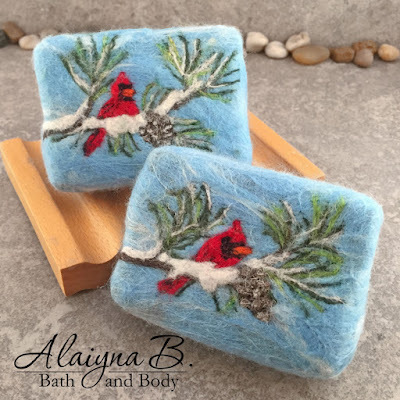 Some soaps have added goat or coconut milk too. Each soap is themed to depict several various winter scenes. Enjoy!